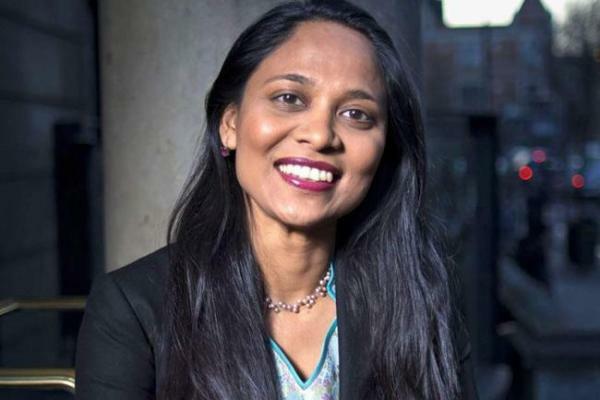 British Prime Minister’s trade envoy to Bangladesh Rushanara Ali, MP, on Sunday said British investors are interested to invest more in Bangladesh as the two countries are in discussion on how the trade relationship can be strengthened. Terming Bangladesh a close friend of the UK, she said the United Kingdom is happy to see Bangladesh’s progress. Rushanara said there is opportunity to boost trade and investment ties between the two countries through sincere efforts from both sides, said the Commerce Ministry here after her meeting with Commerce Minister Tofail Ahmed. The meeting was held at Commerce Minister’s Banani residence in the city. She said the British investors are keen to invest in readymade garment sector, energy and development sector. The trade envoy appreciated Bangladesh’s efforts after Rana Plaza incident and noted that there is opportunity for further development in the RMG sector. Minister Tofail hoped that the trade relations between Bangladesh and the UK will increase even after the UK comes out from the European Union (EU) formally. “Bangladesh is in close discussion with the UK in this regard,” said the Minister mentioning that Bangladesh now enjoys duty-free and quota free market access to the EU under everything but arms (EBA) scheme. The UK has voted to leave the European Union. It is scheduled to depart at 11 pm UK time on Friday 29 March, 2019. Responding to a question, Tofail said the government expects that all political parties will take part in the next national election. He also hoped that the election will be held in a free, fair and credible manner. Rushanara arrived here on Saturday evening on a five-day visit to discuss how trade and investment ties between the two countries can be strengthened further. Earlier, a trade delegation of nine British railway companies, led by Rushanara, visited Bangladesh in September last, showcasing UK expertise in the railway sector. The cross-party Trade Envoy programme was established in 2012 to build bilateral trade relationship and help drive economic growth in the countries identified as key markets for the UK. The UK has strong business interests in Bangladesh as it remains one of the largest foreign investors, officials said. Over 100 British companies are operating in sectors like retail, banking, energy, infrastructure, consultancy and education with main centres of operation in Dhaka, Chattogram and Sylhet. The UK is also the third single largest destination for exports from Bangladesh.